Called an "American original" by The Daily Beast, Meidav is the author of Kingdom of the Young (2017, Sarabande); Lola,California(Farrar Straus, 2011/12); Crawl Space (Farrar Straus, 2006/7); The Far Field: A Novel of Ceylon (Houghton, Mifflin, 2000/1). Her work has been supported by fellowships from the Lannan Foundation, the Howard Foundation, the Whiting Foundation, the Kafka Prize for Best Novel by an American Woman, the Bard Fiction Prize for a writer under 40, creative Fulbrights for work in Sri Lanka and Cyprus, and residencies at Yaddo, Macdowell, Fundacion Valparaiso, Vermont Studio Center, Art/OMI and elsewhere. Her work has been called an editors' pick by the New York Times, the Los Angeles Times, and other sites. 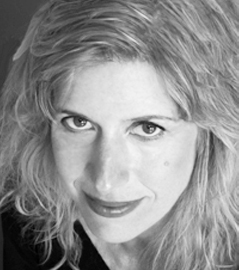 She has served as a judge for the PEN/Bingham first novel award, the NEA, Massachusetts Cultural Council, the Juniper Prize, Yaddo, and as an editor for Fifth Wednesday Journal as well as a contributing editor at the International Literary Quarterly, while continuing as a senior editor at Conjunctions. She has taught or spoken at the Community of Writers at Squaw Valley in California, the Home for Cooperation in Cyprus, and elsewhere. With MFA writers, she is the founder of Radius (www.radiusmfa.com), a project linking NEPR, the MFA, and undertold stories from diverse populations in western Massachusetts. Her recent or deeper background includes Amherst, Berkeley, Brooklyn, Colombo, Cortona, Foix, Haifa, Havana, Managua, Manhattan, Nicosia, Przmsl, Rhinebeck, Samara, Toronto.